Your wedding day is one of the biggest and most important days of your life. Because of this, you want it to go off without a hitch. While most of the weddings that happen each year do so without any drama, there are others that are definitely worthy of their own soap storylines. This was the case for one groom after his wife’s ex turned up to his wedding. Naturally, he just couldn’t stay quiet. One bride and her wedding guests had the surprise of their lives when they realized their wedding had taken a slight turn. Although guests had been dancing on the dance floor and drinking the night away, the mood soon started to change. Before one groom knew it, his wife’s ex had turned up and was threatening to cause a scene. When Nick Boulanger saw this man on the other side of the room, he immediately made his way over to him, grabbed him by the throat, and choke-slammed him onto a table. At first, the guests were horrified to see what was going on in front of them. They couldn’t believe that the groom would do something on his wedding day, and they couldn’t believe that the wife’s ex would turn up to the wedding. What they didn’t realize was that this was all part of an elaborate plan. In fact, both the groom and the ex-boyfriend had collaborated their fight behind closed doors. 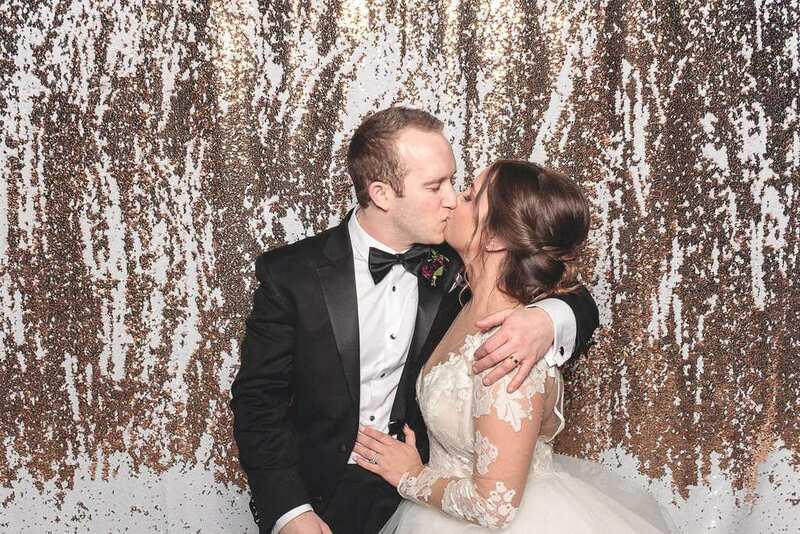 As a keen WWE fan, Nick Boulanger knew that he wanted to include something different and unique within his wedding day. 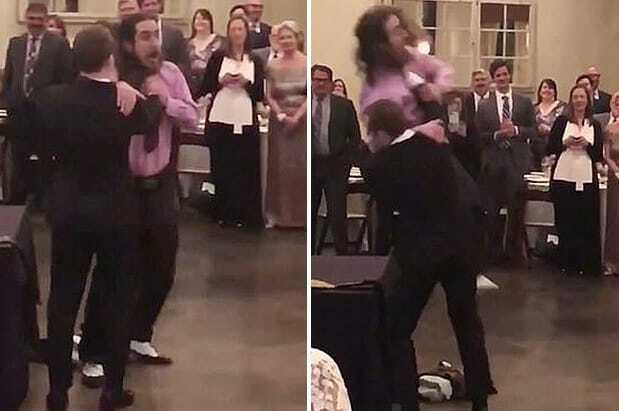 So, he decided to team up with a famous local wrestler in Texas, to choreograph a routine that would drive his wedding guests wild. He knew that creating a script involving an ex-boyfriend would be dramatic, and the ex was more than willing to lend a helping hand. After all, there were no hard feelings between these two men. 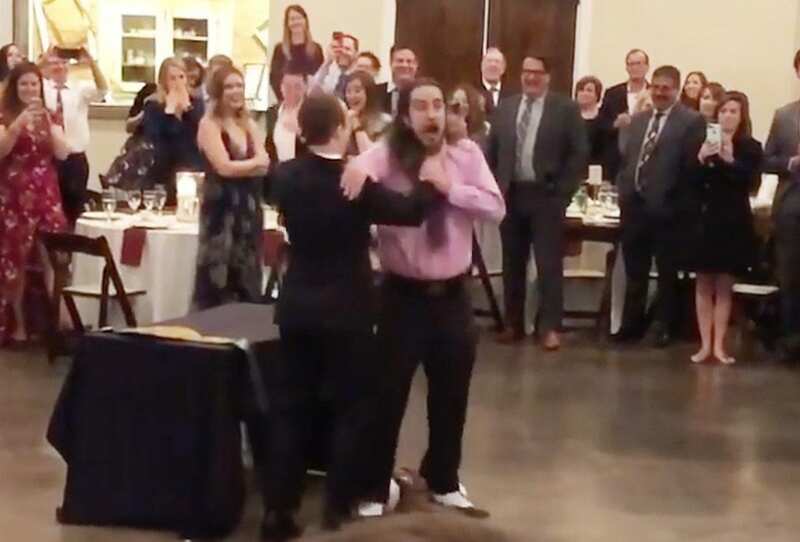 Although the two men may have caused a scene and caused a bit of damage to one of the tables at the reception, there’s no doubt about the fact that their little stunt caused a stir. Most of the guests recorded the scene on their phones, and it soon became a social media phenomenon. Well, that’s one way to start married life!